History of this stadium began back in 2011. By the end of that year land was leveled for future field in the south of Matamoros. 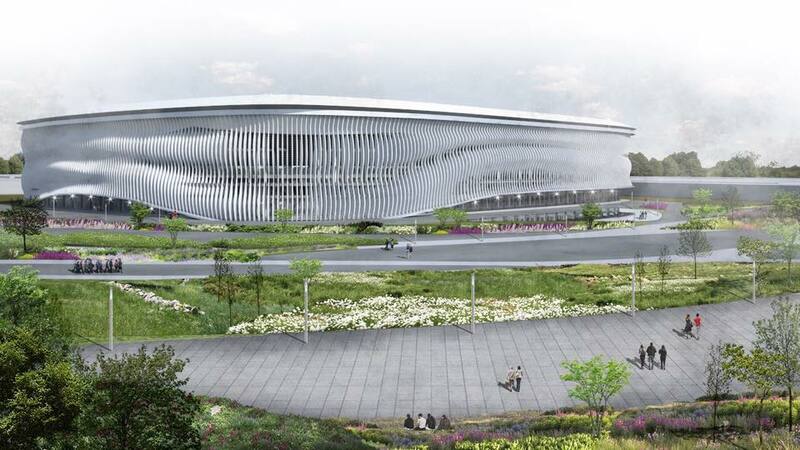 Financed privately, the new stadium was to bring quality football to this east-Mexican city and was expected to open in 2013-2014, initially. The schedule proved optimistic and nearly stopped works led to only a lower portion of the stands being ready in 2014. Surprisingly, the structure went into use in this almost unbelievable state in 2016, hosting both training sessions and actual games in the 4th league. It’s home to fairly obscure team Gavilanes. Aspirations are much higher though. 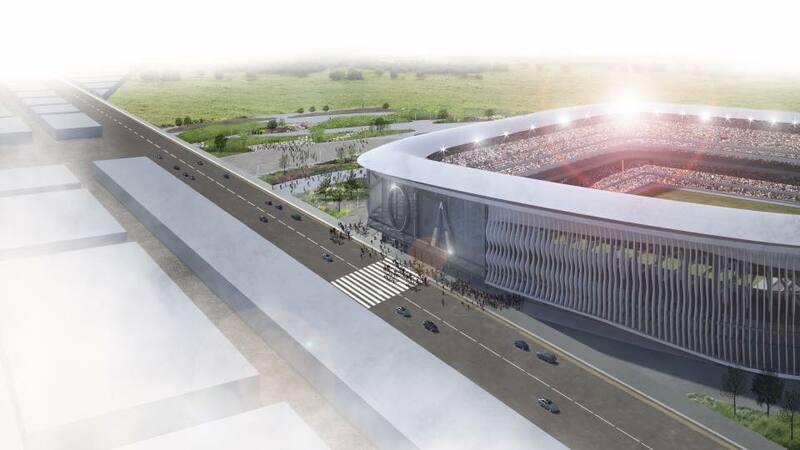 In early 2017 Grupo Lunel announced they are building the stadium and finishing it will take two years more. After that time it should allow up to 36,000 people inside, spread across two tiers of seating, with partial cover. 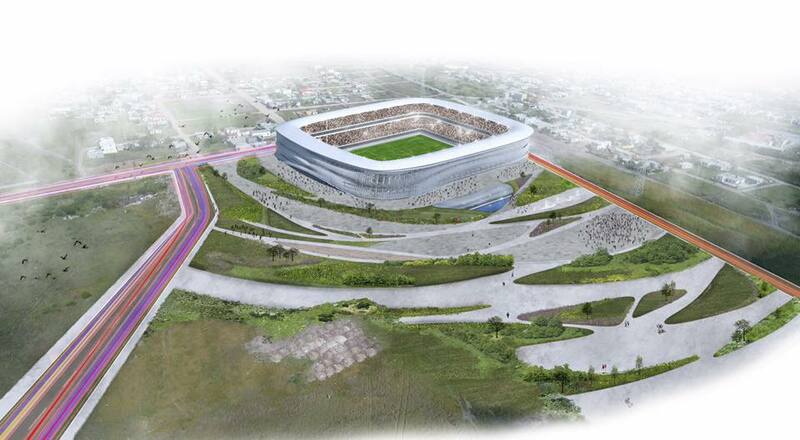 While the concrete structure is very simple and not appealing at all, the stadium’s final appearance should be very interesting. 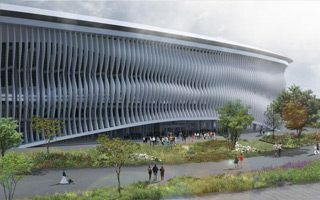 Designed by Monterrey-based AM11 Arquitectos, the building will receive cladding forming illusion of waves or ripples going through it. It’s perhaps the most obvious and still not utilized motive in Mexico: the wave for which Mexican fans became famous. 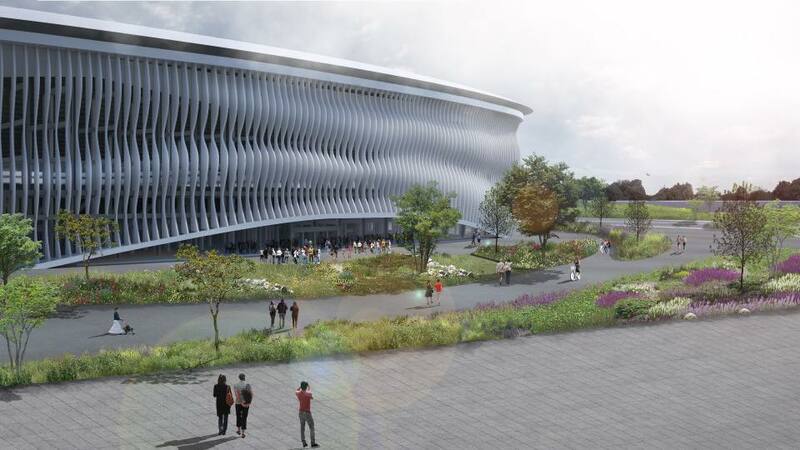 Simply named “la ola” in Spanish, the wave won’t end on the 20-meter tall stadium but will spread across the parking site and public areas around, eventually expected to hold up to 4,000 cars on matchdays.